By her brother's graveside, Liesel's life is changed when she picks up a single object, partially hidden in the snow. It is The Gravedigger's Handbook, left there by accident, and it is her first act of book thievery. So begins a love affair with books and words, as Liesel, with the help of her accordion-playing foster father, learns to read. Soon she is stealing books from Nazi book-burnings, the mayor's wife's library, wherever there are books to be found. But these are dangerous times. When Liesel's foster family hides a Jewish fist-fighter in their basement, Liesel's world is both opened up, and closed down. Just the right mixture of tragedy and comedy. Timeless. I have a confession to make, this was my first ever reading of The Book Thief. Honestly, I never even heard of it until the movie was being released in 2013 (which I am also yet to watch) and I refuse to read books (or watch movies) while they are headlining because it tarnishes my opinion of them. So if a new release or movie adaptation catches my eye, which I haven't already read (or isn't the next instalment in a series I am already committed to), then it gets added to my TBR pile for a later date - in this case, of several years. What a wonderful read it is though. It made me laugh, it made me cry, it made me swear & it made me contemplate many things - especially human nature. I was pleasantly surprised by the unique style of the book. I will definitely be keeping this book on my shelves for future reading. I actually bought the DVD first and so enjoyed it had to buy the book if only to see if the screen writers did,nt botch it up as is so often the case. Was delighted that only a very few things differed from the movie. loved the characters, loved the description of the settings, fun to read, gives an insight into life in WW2. can't fault in any way. would read again and again. Absolutely brilliant and well worth reading. Absolutely beautifully written. One of the best books I've read in a while. My 12 year old son loved this book. Would recommend for 12 years and up, great reading. The Book Thief is an absolutely stunning book, filled with great characterisation and description. A must read. This book was very captivating. I got just to have something over easter and found that I couldnt put it down. You could easily put yourself in the book and feel and see everything that was happening. I cant wait for the movie to come out on dvd now. You did well Markus. 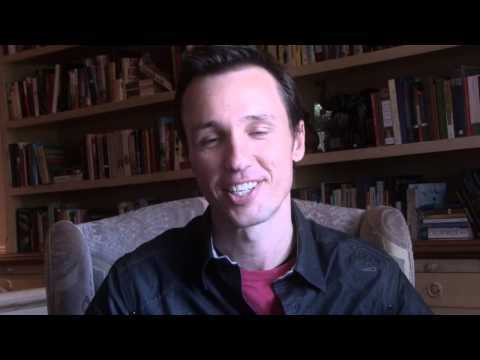 Markus Zusak was born in 1975 and is the author of five books, including the international bestseller, The Book Thief, which is translated into more than forty languages. First released in 2005, The Book Thief has spent more than a decade on the New York Times bestseller list, and still remains there to this day. His first three books, The Underdog, Fighting Ruben Wolfe and When Dogs Cry (also known as Getting the Girl), released between 1999 and 2001, were all published internationally and garnered a number of awards and honours in his native Australia and the USA. The Messenger (or I am the Messenger), published in 2002, won the 2003 Australian Children’s Book Council Book of the Year Award (Older Readers) and the 2003 NSW Premier’s Literary Award (Ethel Turner Prize), as well as receiving a Printz Honour in America. It also won numerous national readers choice awards across Europe, including, in 2007, the highly regarded Deutscher Jugendliteratur Jugendjury prize in Germany, which he won again for The Book Thief in 2010. It is The Book Thief, however, that has established Markus Zusak as one of the most successful authors to come out of Australia. To date, The Book Thief has held the number one position on the New York Times bestseller list, as well as in countries across South America, Europe and Asia. It has also been in the top five bestsellers in the UK and several other territories. It has amassed many and varied awards, ranging from literary prizes to readers choice awards to prizes voted on by booksellers. It was the only book to feature on both the USA and UK World Book Night Lists in 2012, and has been voted as Australian readers’ favourite book by Dymocks three years running. In 2013, The Book Thief was adapted to screen, directed by Emmy Award-winning Brian Percival (Downton Abbey) and shot in Berlin by Twentieth Century Fox. The cast was headlined by Academy Award winner Geoffrey Rush (Shine, The King’s Speech) and Academy Award nominee Emily Watson (Breaking the Waves, Anna Karenina). It also cast Sophie Nelisse (Monsieur Lazhar), as Liesel Meminger. In 2014, Zusak received the American Library Association’s Margaret Edwards award for significant and lasting contribution to young adult literature, for his body of work ranging from The Underdog up to The Book Thief.